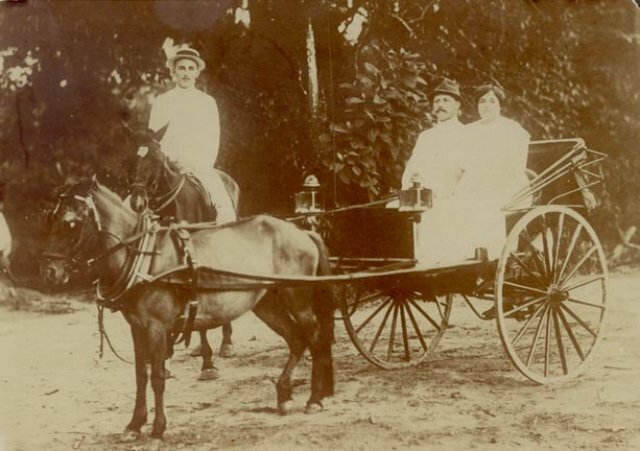 Jasper Boon with first wife and his plantation manager on horseback. Plantation Kemoening near Langsa Sumatra. Circa 1908.